Persistent storage is a fundamental abstraction in computing. It consists of a named set of data items that come into existence through explicit creation, persist through temporary failures of the system, until they are explicitly deleted. Sharing of data in distributed systems has become pervasive as these systems have grown in scale in terms of number of machines and the amount of data stored. The phenomenal growth of web services in the past decade has resulted in many Internet companies needing to perform large scale data analysis such as indexing the contents of the billions of websites or analyzing terabytes of traffic logs to mine usage patterns. A study into the economics of distributed computing  published in 2008, revealed that the cost of transferring data across the network is relatively high. 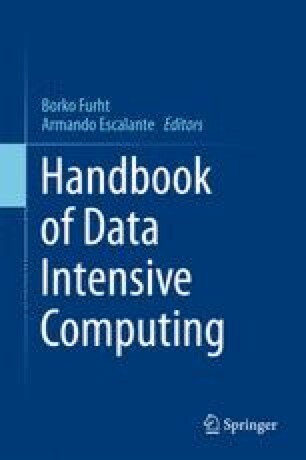 Hence moving computation near the data is a more efficient computing model and several large scale, data-intensive application frameworks [2, 3] exemplify this model. This work was funded in part by NSF IIS grant 0841765 and in part by NSF CCF grant 0964471. The views expressed are those of the authors only.